Located approximately 35 miles north of Honduras in the Caribbean, Roatan is the largest of the Bay Islands group. Plenty of great snorkeling and diving is found at the coral reefs off Roatan's coast. The Allure of the Seas made it to Coxen Hole, Roatan, Honduras today. So those of you that heard otherwise, the rumors are false. The Allure does stop in Roatan! You can see the damage to the pier, but is at the end of the pier. We were able to dock with no problems. Exciting events, the president of Honduras (or so the rumor went) visited the ship while we were in port. I actually saw him as he walked past my table at the Wipe Out Cafe. Lots of security and press. So I assume the rumors were true. Did some shopping at the port. It was a beautiful day and a lot of passengers seemed to be headed out on the many excursions. We decided to relax and hang out on the ship. Tip: You definitely need to do breakfast in the dining room. They offer both a buffet and ala carte service. We sat at a big table with other cruisers and had a very nice breakfast. I did the ala carte and was able to get the omelette I’ve been wanting! Today, we hit the Wipeout Cafe for lunch. Important note: it didn’t open until 12:30 so be sure to check the hours of operations before heading to a venue! Lucky for us it was 12:15 and we only had to wait 15 minutes. The plus to waiting was that the food was HOT and Fresh! Dinner was in the dining room tonight and was good. Hit the casino and the casino hit me back, in my wallet. But had fun playing and people watching. Everyone is having a good time which makes for a great experience! Oh, forgot to add... last night I did the movies under the stars. It was The Commuter. The movie was good and it was nice sitting outside with a breeze! Another fun and successful day! I got a new beautiful diamond ring!! Favorite place! Walked 2 blocks to a green roofed building and played with monkeys, lemurs, parrots, and a sloth for only $10 a person. Best kept secret! This was my favorite port on my entire cruise. The only place that felt truly authentic! 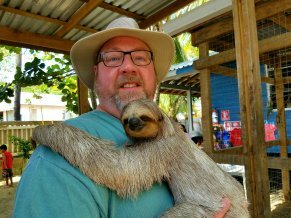 We were recommended Daniel Johnson’s Monkey and Sloth Hangout and I cant say enough great things about it. For $55 us each, my group had a private van and driver (Guillermo) and they were waiting at the port. First we got a full island tour that took about an hour. He stopped and showed us all sorts of local planes and things. Then over to the animals. 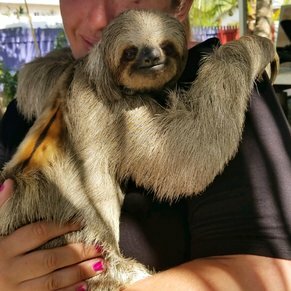 We got to go in and hold a sloth as well as play with monkeys and hold Macaws! You could tell the guides really loved the animals and that they were well taken care of. We also never felt rushed. From there, we did the snorkeling. They have their own dock and boat and took us out to the reef for a nice 30 minute snorkel session. We had a guide with us in the water pointing out different marine life and taking us over to the drop off. All the equipment was provided as well as bottles of water. After that they took us back where we changed and then Guillermo asked us where we wanted to go next. We told him we wanted some authentic local food. He took us to a little place where we got to meet his son and have some local dishes. We even got to try the “tree chicken” which is iguana. After that he took us back to our ship. All in all it took almost the whole day. We had a ton of fun and got an amazing experience. I plan on making it back to Roatan again and visiting here again!!! 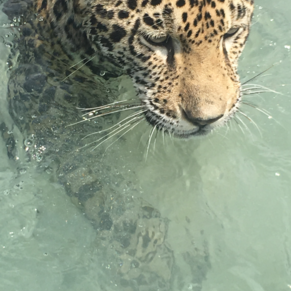 We went to Little French Key and did the VIP level which allowed us to swim with a Jaguar. Yes, we all swam with and got pictures with a full size jaguar. I will not try to describe the experience any further but it is worth 2-3 times what we paid for it. The money raised is used to benefit the jaguars directly and they really enjoy being hugged. 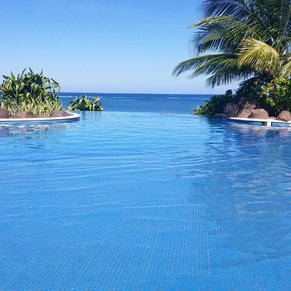 Besides the cats the VIP level included perfect tropical drinks, decent food, a private dining and beach area and access to horseback riding in the ocean and also massages for everyone all included. If you want to do something you never thought possible and in a place that is stunning beyond belief, you have got to consider this. The port is typical and the people are friendly. When we left the port to find the Little French Key rep, all of the other sales reps were kind and genuine. The atmosphere felt rushed but safe. This was the favorite stop of most of our group. 3 of 107 shore excursions in Coxen Hole, Roatan, Bay Islands, Honduras. There are currently 0 discussions about Coxen Hole, Roatan, Bay Islands, Honduras.